The reason for this interest, by the early navigators and explorers of the Mediterranean (Greeks, Phoenicians and later the Romans ) lies mainly in the strategic position of the province that is located more or less in the centre of the Mediterranean and then along the main sailing routes of the time. Literally every civilization that has ever crossed the Mediterranean has passed through these ports, stratifying cultures upon cultures, monuments upon monuments, pieces of history that have joined to other pieces of history in a tangle of pieces which, like the coils of a serpent, have come as far as the present day. In a previous article we told the myth of the creation of the city of Trapani which dates back to Aeneas fleeing the destruction of his hometown, Troy. 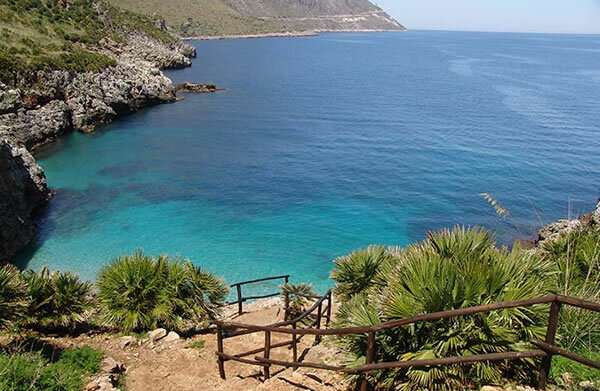 But the province of Trapani is dotted with historic attractions, but also natural landscapes that absolutely must be visited while on holiday in the province of Trapani. 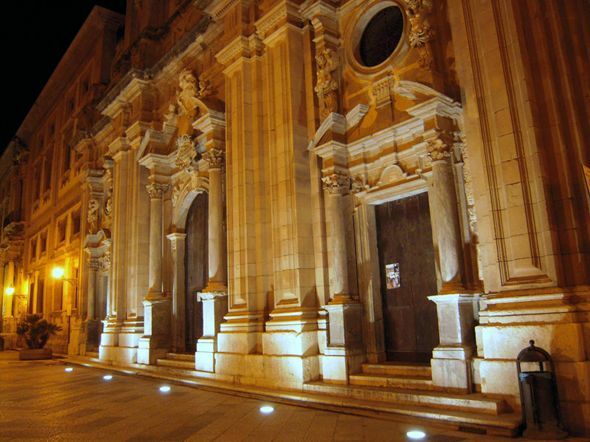 The historic centre of Trapani, which has recently been restored and today looks clean and well cared for and is where you can stroll and admire the architecture of the 1700s and 1800s. 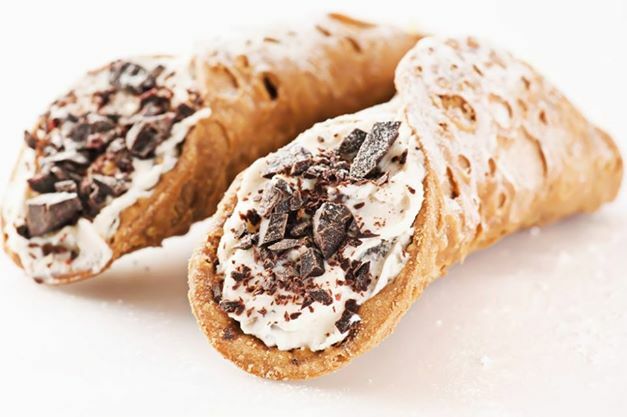 There are many shops along the sides of the roads giving tourists the chance to buy souvenirs, local products, to enjoy a good plate of busiate pasta with pesto alla Trapanese or just an ice cream. Venturing towards the west end of the city you can admire the tower system consisting of the Ligny Tower, the Colombaia and the Lazaretto. Going further into the streets of the historic centre instead you leave its restored area and you move deeper into the old town with its beauty, but also with its contradictions thus experiencing the true, multifaceted SOUTH. 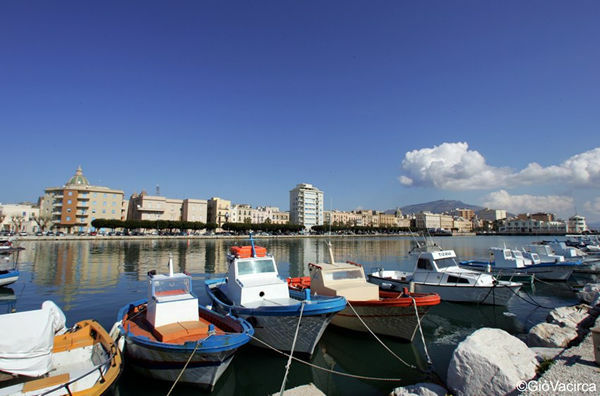 View the details of Trapani. On clear days, the mind can not identify where the exact border between the sky and the sea lies and the Egadi islands seem to be suspended in the sky. 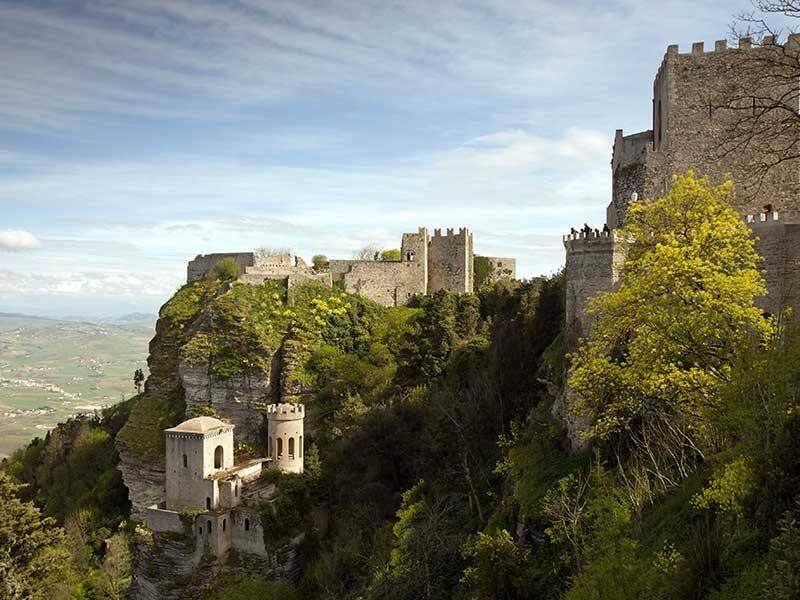 Once in Erice, the impression is of being in a fantasy story in a medieval village on a pilgrimage to some king´s castle. Here the old has been preserved, and getting lost in the narrow streets of Erice is a silent and meditative experience, especially if you go up in a period of low tourist influx or, even more impressive, when the fog cloaks the streets and buildings. View the details of Erice. (a people descended from Aeneas) more than 2500 years ago. 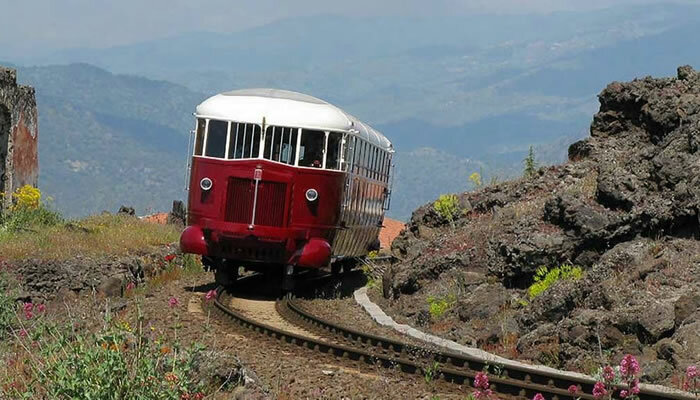 The place is accessible via the Trapani to Palermo motorway, about 20 minutes drive from Trapani. The archaeological site is very charming and the photos do not do justuce to the majesty and grace of the temple. In fact, it stands on a hill reached by steps at top of which are placed the ubiquitous olive trees. The steps, towards the top curve to the right, and from the top of the olive trees the granite outline of the tympanum begins to emerge, with the slowness of a wise old man, emerging more and more as you climb the steps up to discover it in all its magnificence once you reach the top. From the top of the hill you can let your gaze sweep over the hills surrounding hills covered with lush vegetation and imagine an ancient Elymian, Greek or Roman intent on making the same gesture, in other parts of the world: the climb, the contemplation, the sense of wonder. 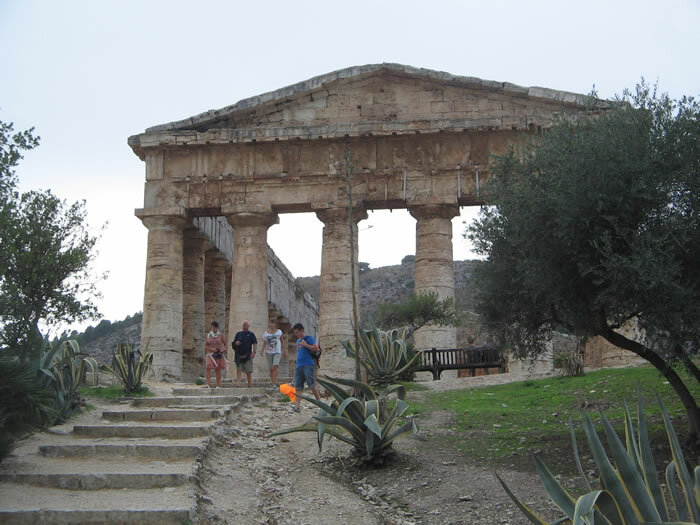 On another hill, a couple of miles away, there is the other attraction of Segesta , the theatre, which is reachable by foot (pay attention as it is a good walk uphill) or through a special shuttle service at the cost of a couple of Euros . The theatre of Segesta, partly dug into the mountain, gives a further glimpse into the breathtaking valleys north of Segesta. Please note that some summer nights at the theatre of Segesta poetry readings and stories are organized waiting for the dawn. If you want a reminder that remains in your heart forever, try to attend one of these theatrical suggestions and you will not regret it. View the details of Segesta. 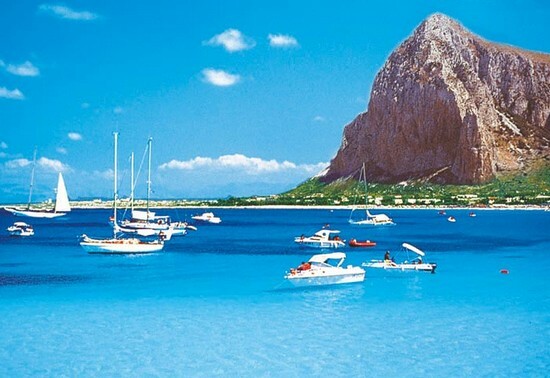 There are 2 ways to enjoy San Vito lo Capo: to stay in the village for a few days and be captivated by its rhythms, or to go for a day, experience its Caribbean beach and return in the evening. San Vito Lo Capo offers its best when you are staying at the village as its calendar of events makes it a popular, quality tourist destination also in the evening and at night when the bands play and, depending on the event in progress, you can discover the culture and traditions of Sicily, just by wandering through the bright and colourful streets. 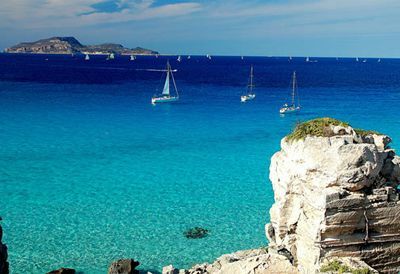 Also, if the sea of ​​San Vito lo Capo is of higher quality, than the Zingaro reserve is heavenly. And the deeper you dig inside the reserve, the more you come into contact with nature and with such incontaminated places that you would never have imagined existed. Also, for those who want to try a bathing experience away from the hustle of the beach, we recommend the hidden coves of Castelluzzo. The road is impracticable but if you´re lucky enough not to find anyone there, the experience is unique. Once you get to Castelluzzo, go down the main road to the junction. At that point, instead of turning right to San Vito lo Capo, go down to the sea and reach the end, turn left along the dirt road for a couple of kilometres. On your right you will find a couple of pebble beaches with an indigo and inviting sea. 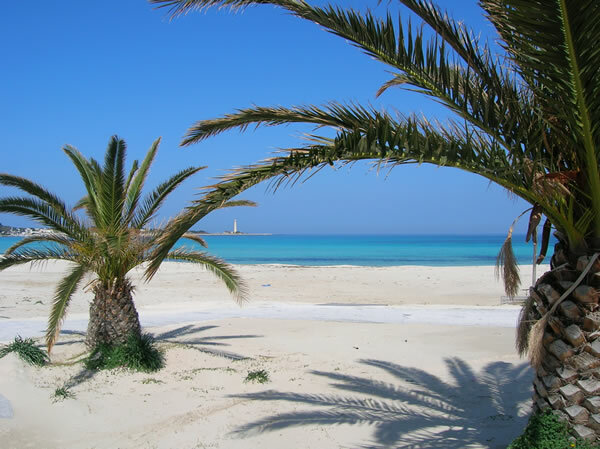 Lots of turists have suggested avoiding San Vito lo Capo (but avoid all the tourist places in general) in August and if you can, try to come in mid-September when the crowd thins out and the Cous Cous Fest comes to life. A unique experience! 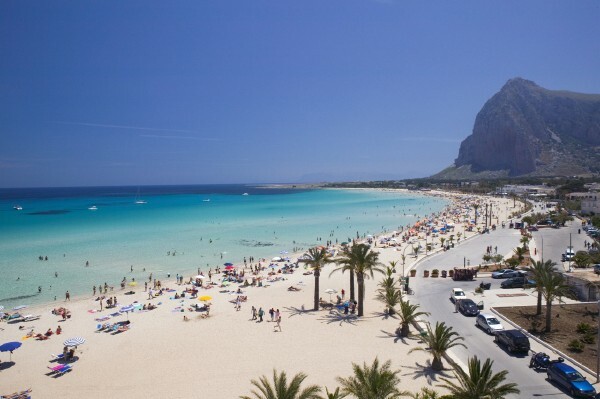 View the details of San Vito lo Capo. 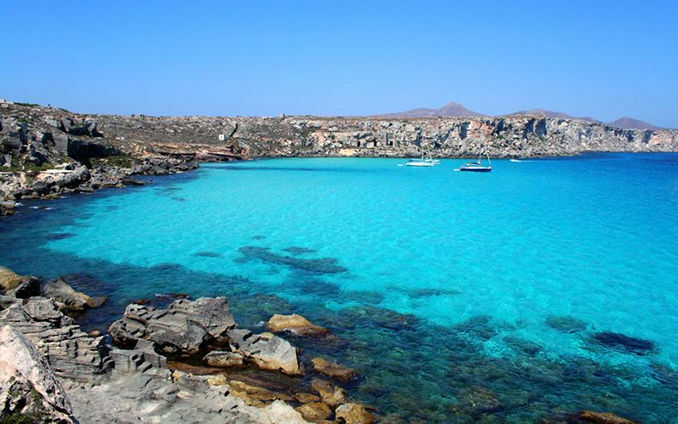 As described in our previous article, the Egadi Islands are a paradise on earth . Everything here exudes a sense of nature and a desire for reunification with it. Lying within the largest marine reserve in Europe, the Egadi are a breeding ground for fascinating and unexpected species. I will not elaborate much on the Egadi as I´ve already done in this article you cannot miss reading. However, they are worth visiting, if only to give you a small taste that will make you work up an appetite and the desire to return to experience them more completely. View the details of Favignana. The visit to the reserve of Salt pans takes half a day but it is a step that is worth trying. We recommend a visit by bike for a greater involvement within the natural habitat. A bike path, rough but functional, connects the city of Trapani to the Reserve. Within the reserve you enter an alien world made of puddles and ponds that reflect the world giving an upside-down and fascinating version. 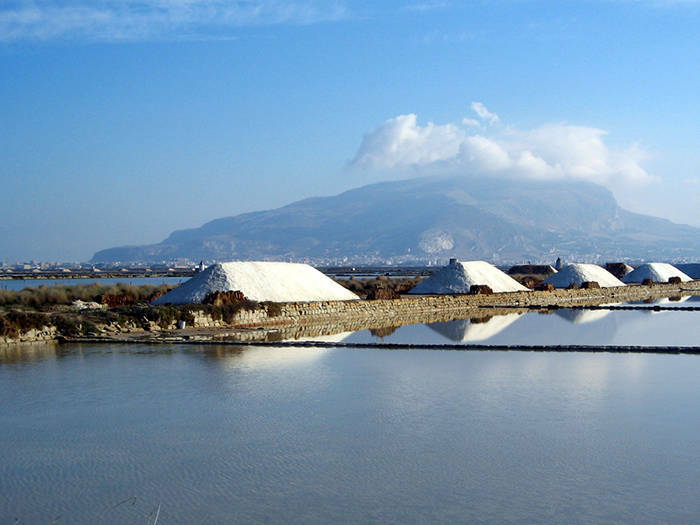 Hence the pyramids of white salt, the mills with their skeletal blades, the bulrushes, even Mount Erice in the distance, are reflected in the salt pans duplicating our sensory experience and giving pictorial visions of great charm. The wildlife here is typical of marshland with the addition of flocks of pink flamingos intent, regardless of your presence, on dozing or to dining on the mollusks of the salt pans, unaware of being part of a magnificent and colourful picture. 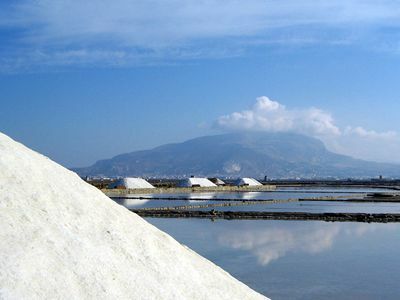 View the details of Salt pans of Trapani. If you are looking for something that is already organized for you, try to visit our page of the itineraries. Photo Galleries and Video Galleries complete the picture. If you have any doubts or questions, do not hesitate to contact us using the chat that you find on your right, or leave a message under this article. Happy holidays and, as we say in these parts ´ SSABBINIRICA ! 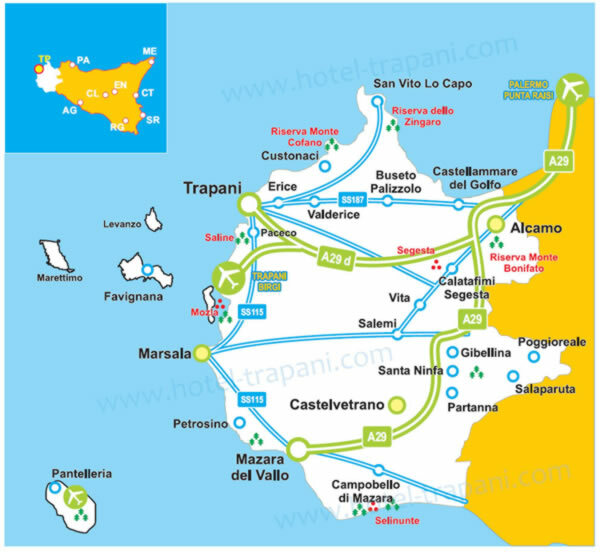 COMMENT "TRAPANI WHAT TO SEE: 6 PLACES YOU CANNOT MISS"
IN ADDITION TO "TRAPANI WHAT TO SEE: 6 PLACES YOU CANNOT MISS" MAYBE YOU MAY ALSO BE INTERESTED IN THESE ARTICLES?